A story of a dead child and a mother who is missing him. I can't believe I've never actually read Peter Pan until now. I'd seen the Disney version, but this is both more charming and more sinister than that. There are lots of sweet little details, like mothers tidying up their children's thoughts, and the kiss on the corner of Mrs Darling's mouth. Me gustó mucho. 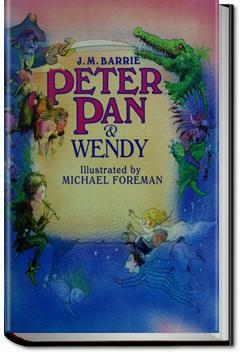 Obviamente ya conocía la historia por qué me crié prácticamente viendo todas las versiones de Peter Pan. Not gonna lie, I had to push myself to get through this. I just didn’t find it enjoyable in the slightest, which makes me feel like a loser since it’s such a beloved children’s classic. But at least I’m an honest loser? I didn’t really like Peter. I read this to Celyn. It's a short book. Google tells me 47,000 words but it felt shorter than that.